While it’s understood that taking sun safety precautions is important outside, few people realize they can sustain sun damage indoors, too. 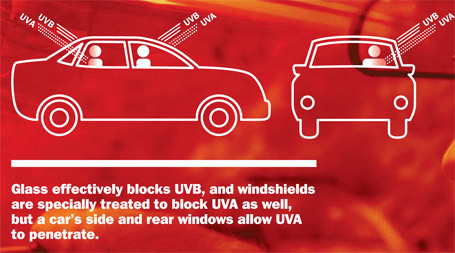 While both ultraviolet A (UVA) and ultraviolet B (UVB) radiation from the sun can harm the skin and lead to skin cancers, UVB is effectively blocked by glass. However, at least 50 percent of UVA rays can pass through windows. Window film is an increasingly effective solution, offering substantial indoor protection by blocking up to 99.9 percent of UVA radiation. Although they are less intense than UVB, UVA rays are 30 to 50 times more prevalent and are present with relatively equal intensity during all daylight hours throughout the year. Window film can help prevent harmful UVA rays from damaging both your skin and your belongings. Available in varied tints, residential and commercial window films can also cut down glare by more than half while allowing 30-80 percent of visible light to get through, depending on the customer’s needs. The benefits of installing window film go beyond protecting one’s skin and household items, as it also can reduce energy costs. In hot weather, window film cuts down heat within the home and in cold weather it reflects interior heat back into the home. Additionally, some new types of “safety” film help hold residential and commercial glass in place if shattered. Several times thicker than the standard sun-protective film, it can greatly reduce the chances of break-ins, property damage, and even personal injury that can result from broken glass. 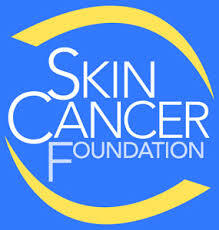 About 85 percent of melanomas and 90 percent of melanoma skin cancers are associated with exposure to UV radiation. The Skin Cancer Foundation recommends that everyone adopt a complete year round sun protection regimen that includes seeking shade, covering up with clothing, wearing a broad-brimmed hat and UV-blocking sunglasses, and using broad spectrum sunscreen every day.